A selection of participants at the final DREaM conference were invited to give one minute of insight into an issue or project of interest, in a session chaired by Mike Clarke. 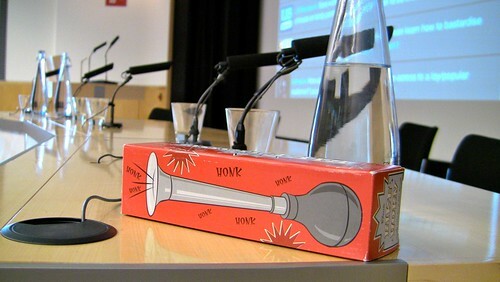 Those that signed up for a slot were given just one minute to make make a presentation to the audience, which was strictly enforced by Mike Clarke using the one minute madness horn. They were accompanied by a single slide providing their name, the title of their talk and their contact details so that members of the audience could get in touch to follow up on any points of interest. You can also view these slides on Slideshare.